802.11ac - The Next Generation of WiFi TP-LINK’s Archer T4U comes with the next generation Wi-Fi standard – 802.11ac, 3 times faster than wireless N speeds. With 867Mbps wireless speeds over the crystal clear 5GHz band or 300Mbps over the 2.4GHz band, the Archer T4U is the superior choice for seamless HD streaming, online gaming and other bandwidth-intensive tasks. AC1200 Wireless Speed The 5GHz 867Mbps is perfect for HD video streaming and lag-free online gaming, while using 2.4GHz 300Mbps Wi-Fi for normal use such as web surfing USB 3.0 - Up to 10X faster than USB 2.0 Experience blazing speed data transfers of up to 4.8Gbps with USB 3.0 - the latest USB connectivity standard. 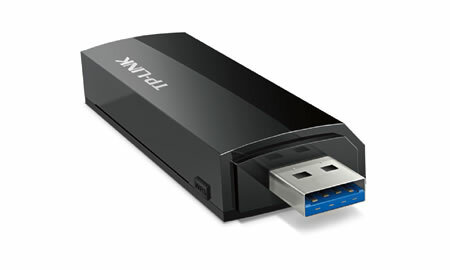 USB 3.0 transfers data up to 10X faster than USB 2.0 and is also backward compatible with USB 2.0. 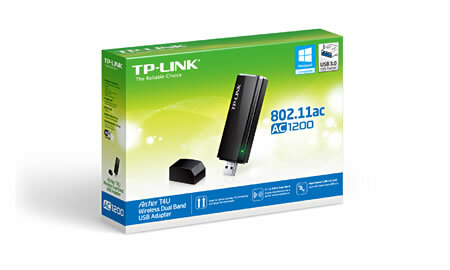 This high-speed transfer rate combine with 802.11ac ideal for HD streaming, online gaming and large file downloads. 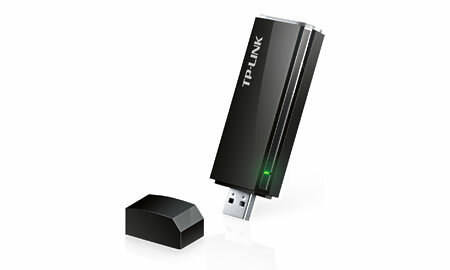 The Best of Both Bands TP-LINK’s Archer T4U is an AC1200 Wireless Dual Band USB Adapter giving users the ability to access crystal clear 5GHz connections or legacy 2.4GHz connections to upgrade their notebook or PC’s wireless capabilities to operate with new 5GHz band wireless networks, while ensuring that they can still access legacy 2.4GHz band wireless networks. Bundled USB Extension Cable Archer T4U equipped with the 1m USB 3.0 extension cable, which extend the USB connection length, making it more convenient to plug the USB device in & out of the USB socket. Its elegant and stylish design is suitable for home deployment and will even improve the look of your home and office.